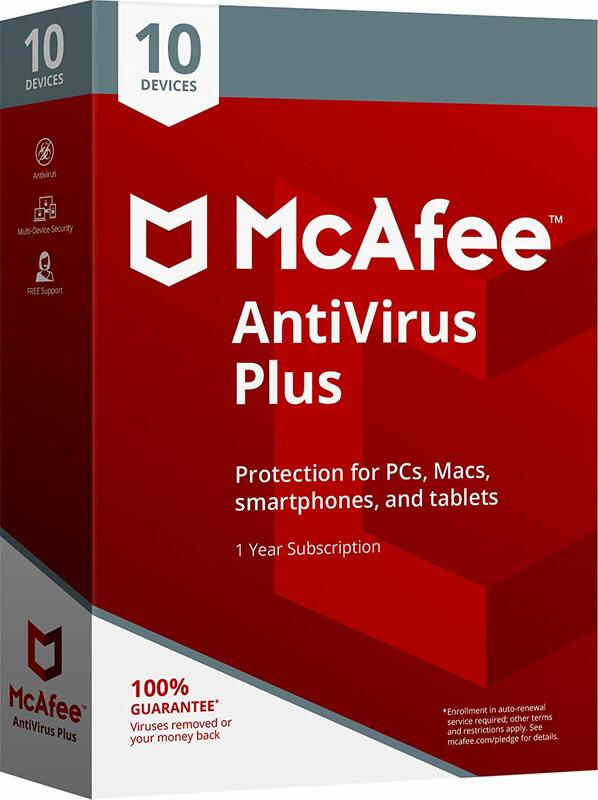 McAfee AntiVirus Plus, now available with revolutionary Active Protection technology, offers essential PC security with accelerated performance and helps keeps you safe from viruses, spyware and hackers. Features include anti-virus, firewall, privacy protection, PC optimization, web protection, and WiFi network monitor. Get it now! it’s a pretty decent antivirus although i prefer BitDefender any day of the week. you should include the duration of the free antivirus in the description if it’s just for 1-3 months i would prefer not to waste my time, but thanks eitherway! at least you can give it a testdrive and see if it’s worth buying the full version. Intel Security already has other versions of its McAfee Antivirus Plus. As such, the 2017 version aims at delivering a better performance as both a security suite and an antivirus. In testing this security giveaway, I had two main factors in mind that I needed to evaluate to confirm whether this version is better than its predecessor. The factors entailed its malware detection and protection, and its resource usage. Here is my review on this antivirus. Right off the bat, you will note that McAfee AntiVirus Plus 2017 offers a decent collection of features with the intention of protecting your system from a host of attacks. These features include privacy protection, firewall, antivirus, web protection, and WiFi network monitor. Clearly, the collection of the mentioned features makes this package both a security suite and an antivirus. In a bid to improve from its earlier version, this package comes with a new product called Real Protect. Thanks to this product, McAfee AntiVirus Plus 2017 can detect zero-day malware without impacting on the performance of your system. This antivirus manages to do so through its behavior-based approach in detecting unknown and suspicious program. Real protect gathers the behavior data of the suspicious program, sends it to the cloud, and acts appropriately based on the feedback from the cloud component. While using this program, I noted that I had minimal interaction with the Firewall settings. That was the case because McAfee AntiVirus Plus 2017 now allows network access by programs that are classified as safe. On the other hand, the program goes ahead and blocks malicious programs that seem to abuse the given network permissions. Unlike before, you will have minimal interaction with firewall configuration settings. In this case, I was running this antivirus on my PC. However, you can also do so on Android, iOS, and macOS devices. Further, you subscription can cover multiple devices that you own. To enjoy this multiple device protection using one subscription package, it is important to ensure each installation is tied to the same by using the appropriate installer download link. After configuring your devices, you can monitor all the computers from the My Home Network Panel. Thanks to available benchmarks and independent labs, you can know how an antivirus compares to its counterparts. Having said that, it was disappointing to note that McAfee AntiVirus Plus 2017 still scores lower than both Kaspersky and Bitdefender regarding protection. 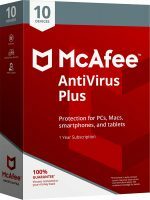 The poor rating of McAfee AntiVirus Plus 2017’s ability to give reliable protection is a major consideration before you install this package. Despite slight improvements on how the program delivers its protection, it still lags behind other program in the antivirus field. However, this antivirus’ protection for multiple devices under one subscription earns it some notable points. 3. Small consumes resources (WEB-browsers at times consume more, especially “Google Chrome”). Cons, yet did not find. I don’t like living with the fact that almost 2 in every 10 malware attacks I get will make it through my defenses. Citation for this fact, please? Please note if you have used McAfee in the past, you may not get the full license or you may get an expired license because this is intended for new McAfee users only!